A Senate committee has taken the unusual step of rejecting Gov. Phil Scott’s appointee to the Vermont Labor Relations Board. Confirmations are typically perfunctory affairs in the Statehouse, but the Vermont State Employees' Association had been campaigning strenuously against the appointment of retired lawyer Karen O’Neill, who joined the quasi-judicial board that handles labor disputes earlier this year. On Wednesday, the Senate Committee on Economic Development, Housing and General Affairs voted 4-1 not to confirm O’Neill. The panel's lone Republican, Sen. David Soucy (R-Rutland), cast the dissenting vote. The entire Senate is expected to vote on the matter later this week. The dispute centers around whether O'Neill is qualified to serve as a neutral arbiter. 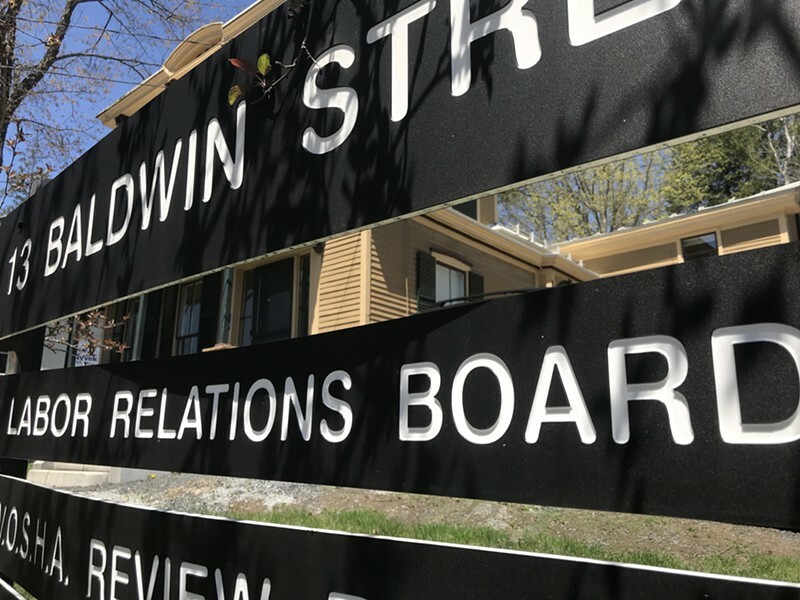 State law requires that the Labor Relations Board consist of two members with management experience, two members with a background in labor and two neutral members. A separate hiring panel reviews labor board applicants and forwards nominees to the governor, who makes an appointment from among them. Scott selected O’Neill to fill a vacant neutral seat in time for her to vote on stalled contract negotiations between his administration and the state employees' union. In late March, she voted with the majority to set a contract that raises health care costs for state workers and limits their access to certain prescription drugs. O’Neill worked as general counsel for Vermont Electric Power Company. Prior to that, she was a partner at the Burlington law firm Gravel & Shea, and a lawyer for Green Mountain Power. 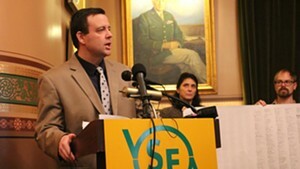 VSEA slammed the labor board’s decision and subsequently sued the state, arguing that O’Neill had been improperly appointed. Union members showed up in force at the May 2 confirmation hearing. “She has spent her entire life working with management and corporations, with very powerful people against workers, against consumers and against unions,” said VSEA executive director Steve Howard. He pointed out that the Gravel & Shea website touted a track record of stymieing union drives. “That was never a part of my practice at the firm,” she said, referring to the Gravel & Shea statement. O’Neill contended that the fact that she represented management throughout most of her career doesn’t mean she can't sympathize with labor — “I viewed my responsibility in those roles to include being an advocate for employees' issues on the management team," she said. The majority of the committee was unpersuaded. After voting Wednesday, Sen. Michael Sirotkin (D-Chittenden), the chair, said, “I think the majority of us felt, in looking at the last 30 years of Ms. O’Neill’s work experience, it was consistently in management positions.” He noted that the committee was also concerned that the hiring panel's review was "less than robust" and didn't including actually interviewing any of the candidates. Rejections are rare, but not unprecedented. In 1994, a Republican Senate voted not to confirm three of Democratic governor Howard Dean's appointees to the state's Environmental Board. It's not entirely clear how much weight the Senate's consent carries. Sirotkin said his understanding is that even if the entire Senate votes against O’Neill’s confirmation, Scott could go ahead and renominate her.